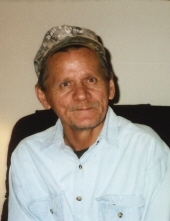 Tony Lynn Cornelius, 64, of Stanford, KY passed away Thursday, November 29th, at the Stanford Care & Rehab. Tony was born in Garrard County, on November 19, 1954. He was a son of the late Cecil and Willa Mae (Shearer) Cornelius. He had worked as a mechanic and was a member of the Fairview Baptist Church. Visitation will be from 6 PM until 8 PM on Friday, November 30, 2018 at the Fairview Baptist Church and after 9 am, on Saturday prior to the funeral Service. To send flowers or a remembrance gift to the family of Tony Lynn Cornelius, please visit our Tribute Store. "Email Address" would like to share the life celebration of Tony Lynn Cornelius. Click on the "link" to go to share a favorite memory or leave a condolence message for the family.